All of the information in this article can also be found on our ‘Hotel Promos’ page which contains details of all of the current offers, together with links to our major articles on each hotel scheme. However, a positive response from readers – especially our 13,300 email subscribers – means I am now running this monthly article as a handy summary of what is going on. Registration has closed for Hyatt’s bonus points offer even though it is valid for stays until 15th May. Where should you credit your stays in April? IHG‘s offer has personalised targets so it is impossible to tell if yours are worth doing or not. In general, you should find that your offer is more attractive than it has been for a while. I have certainly made more of an effort this time and moved a few stays to IHG. My Glasgow night last week triggered over 20,000 points. Marriott‘s offer of double base points on every stay until 4th June is valuable on expensive trips – but it only starts from your 2nd stay during the promo period. Some people may want to do a cheap mattress run if their first stay after registration is going to be very expensive! Hyatt‘s offer of 1,000 bonus points per night (1,500 points at its budget chains) could work out nicely for longer stays – but, like Marriott, it won’t pay the bonus on your first stay after registering. Registration is now closed. The scheme to avoid if you are seeking bonus points is Radisson Rewards which is not offering any global promotion at present. IHG is running a promotion called Rewards Night. Faster. It runs from 15th January to 30th April, so there are only a few weeks left. There is no way I can hit four out of five for the full bonus but I have already got the 19,200 points for three different brands. If your hotel stays are generally just for one night then you should seriously consider moving them (in chunks of five) to Hilton this month. Le Club AccorHotels, which covers Novotel / Ibis / Mercure / M Gallery / Sofitel / Pullman / Raffles / Swissotel / Fairmont etc, has no global promotion at the moment. Existing bookings do NOT count. These need to be cancelled and rebooked. That is a total of 11.9 Accor points, worth 23.8 Eurocents, per €1 spent. On a pricey trip this could be very lucrative. Marriott’s current offer is called ‘Double Take’. You can register here. It is valid for stays until 4th June, although registration closes on 21st May. In theory it is very straightforward – you receive double base points on all paid stays. Marriott has chosen to complicate matters by insisting that you only get the bonus from your second stay after registration. This means that, if you have a very expensive Marriott stay coming up, it might make sense to do a cheap mattress run night first. Our full article on Double Take is here. You can register for Double Take here. The Marriott booking page is here. 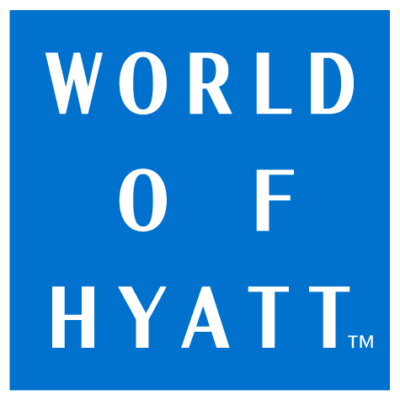 World of Hyatt is running a ‘per night’ bonus promotion valid across all of its brands. Registration for this offer is now closed so it is not worth considering if you are not already signed up. Until 15th May, you will earn 1,000 bonus points per night, increased to 1,500 at budget brands Hyatt Place and Hyatt House. Like Marriott, Hyatt is insisting that your first stay after registration does not count. This means that if you had a 10+ night stay coming up it might be worthwhile doing a cheap mattress run night first. Reward nights count and will earn the 1,000 points. Our full article on the promotions is here. PS. If you booking a luxury hotel, remember that we can offer you exclusive additional benefits at Four Seasons, Mandarin Oriental, Peninsula and similar hotels. Click here for details of our luxury hotel booking service in association with Bon Vivant / Virtuoso. Feedback from readers who have used this service so far has been excellent and we have booked almost £1m of rooms so far. Hi has anyone had any success receiving the £75 Amex Hilton cashback offer on online spend? I just booked two nights at the Hilton Syon Park in the sale that ended a couple of weeks ago or so. Didn’t expect to get the £50 off again (last time I booked a non prepay rate). Received an automated email last week saying it’s been triggered but again didn’t expect it to work but the credit is now on the account. Works on prepaid rooms at the hotels on the list, yes. I booked a prepay stay for next month and it triggered. I got the trigger email within 15 mins of making the booking. Credit in my account was pretty quick too, within a week. However, not had trigger emails for the Wheely offer and I’ve used it twice, both rides were over £40. Thanks all I go ahead and make the booking. Tilly the Wheely offer triggered fine for me on all 3 transactions. Thanks Matt. Got one trigger email this afternoon from amex. Hopefully the other should be ok too. I used the Wheely offer three times during mid March and it worked perfectly each time. My Amex offer activated after 3 stays at Hilton properties. As before the offer seems to keep track of your total spend so you don’t have to do all the spend in one shot. Does anyone know anything about delays in points posting for the current Points Unlimited promo? The 2k per stat credits immediately, but the 10k for every 10th night / 5th stay is missing. I received the first 10k bonus in January, on the day of check-out, but I’m now owed a second and third batch. The 2nd batch was triggered on 10th Feb and the 3rd on 13th March, but still nothing? someone mentioned it yesterday and apparently the problems are with stays at the Hilton brand. Nope – 10k points promptly triggered twice over ten stays. I had this problem on the second 10k. It was initially awarded with the rest of the stay points but then disappeared. I called and they added them manually whilst I was on the call. Award showed as “Guest Assistance Bonus”. I was worried the 3rd 10K would fail to post as a result but it has worked as it should. I’d call again and try a different agent. How do i transfer Marriott points between 2 accounts ? I have a bunch in mine and a bunch in my partners , need them both into 1 account so i can book a 3 night redemption . 0207 012 7312. takes 2 minutes. done instantly. I know this has been raised in the comments sections before, but I’d add my support to calls for a ‘How to’ guide on the best hotel redemption stays for families. I have an expensive stay booked for Marriott so considering a mattress run before this. There are no cheap options near me and no time/energy to travel further afield. Do you think it would work if I booked a cheap room at the Heathrow Moxy (non-refundable) and check in online but don’t actually physically turn up? No you need to physically turn up. Do you have a friend/family member who would enjoy a free hotel stay with you paying? I’ve done this before and everyone benefits. I’ve done this and they didn’t turn up! Didn’t let me know either till the last minute and too late to cancel. Just saying best plans and all that. What’s your date? When does the run have to be done by? OT: Just (finally) applied to be upgraded to Plat from Gold Charge. 1. Does Plat give you x2 points on airline spend and x3 points on Amex travel spend? 2. Is my gold still valid until plat is approved and arrives? Yes, you can use it to earn the bonus once the online account changes. OT: Which card should we use to pay our hotel bill in the Maldives? I have the Lloyds Avios Amex but other half is saying we should use Revolut. I havent received the Avios MasterCard yet so that means my old benefits of no FX and more Avios apply. Please advise. Answer is I guess it depends like Alan says what are you using to top up your account? Assuming its USD you can lock when the rate is high but on the flip side you are locking lots of money into revolut. So if I top up Revolut using Lloyds Avios Amex, there won’t be any charge and I will still earn my Avios for spend? Wouldn’t it be easier if I just use the Lloyds Avios or is the Revolut rate better? Don’t have the Virgin Atlantic one you mentioned. You can’t top up revolut with Amex. No you can only top up Revolut with Visa/MC – I was saying the Lloyds Amex is your comparator. The exchange rate will be good with either (perhaps marginally worse at the weekend with Revolut) so it all depends what card you’d be topping up Revolut with. If you don’t have VS card then unlikely you’ll beat Lloyds. Has anyone else not received the letter about closing and replacing with another Mastercard. I have received mine and my wife has not and we are going abroad until 23rd May. Wife has had her letter, I’m still to receive mine! Received my letter about 3 weeks ago. It said I’d receive the new card within 2 months so I’m assuming if I pay my hotel bill using the card in about 12 days time, I will get original rate Avios and no FX charge. Add me and the missus to that list Mark2, neither of us have our letters yet. Has anyone had any issues registering for the marriott promotion? “We’re sorry, but there was an error in directing you to this promotion. I’m getting the same error message. Have just emailed customer support as I can’t see any reason why I shouldn’t be eligible. And they replied within 10 mins to say they’d enrolled me. Quite impressed!